a local store window that says so much. a window to the soul perhaps? Beautiful display, thought, and photo. Thank you for this thought-provoking post, Beth. Pictures also reflect feelings. I always think it’s strange walking into rooms without pictures hung on the wall. Love the photo. 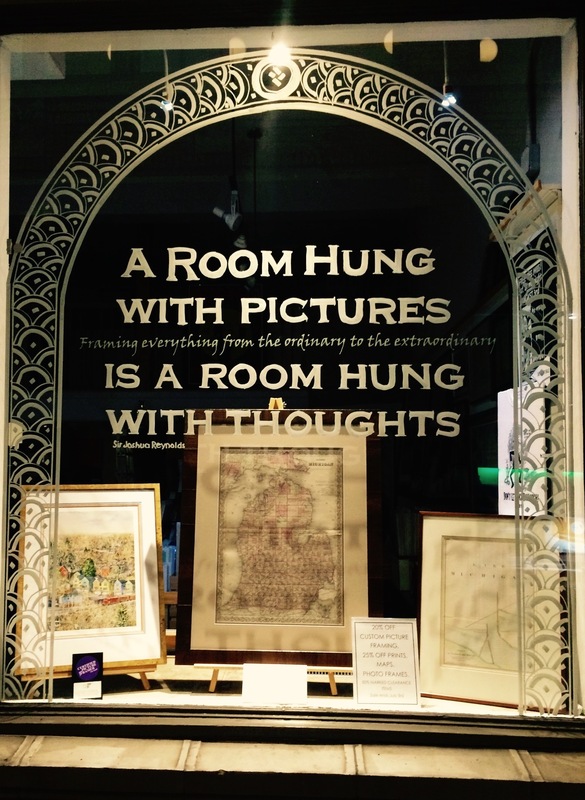 Brilliant, both the photo and the quote in the window. Yes it is. Very true. what a way to make them think for themselves…you are a remarkable teacher!!!! Beautiful and meaningful, Beth. I like the pretty gold design and wondered is it a clear sticky decal or is this filigreed onto the glass? It created a lovely “frame” for the paintings.